PO installed a K&N cone air filter on the car and Im going back to the OE airbox (lets not get into that debate). I have purchased a replacement OE airbox and there is a small vacuum line that runs to the vacuum canister on the back of the airbox. The problem is I cant find that vacuum line. Can someone tell me where that vacuum line runs to? Maybe that will help me find it. I have searched RL, PET and the service manual. There is also a dummy connection on the back of the airbox that you can ignore. Thanks Jason that helped 1000%. It was tucked up behind the AFM and zip tied. 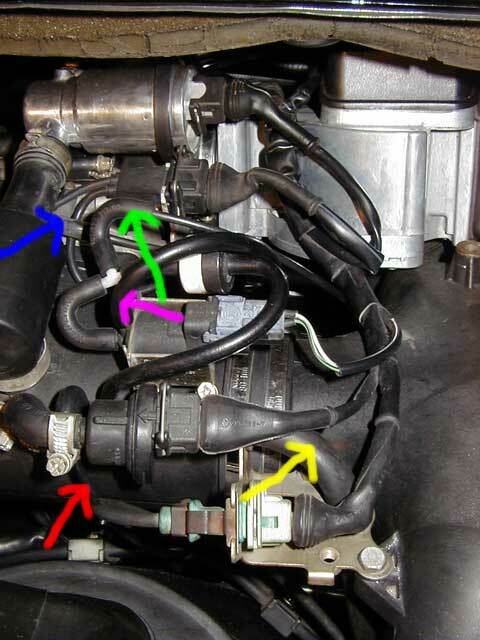 In the image below, there is a hose touched by point of the purple arrow ... it's the hose that comes off a vertical barb on the back of the little solenoid valve. Where does the other end of that hose connect to? Or, is it just a vent tube that hangs down? Here's a photo from my car (let's see if this works). Where does the vacuum canister mount? Hi guys.. how do you mount that vacuum canister? I just did the same thing (cone filter back to stock air box) and I am not sure where to mount the bullet shaped vacuum reservoir.. does anyone have pix? Also, i am not completely sure I have it in right.. it seems that the air horn is very tight to the intake manifold on the right side... any pix of that area would help me...thx. Your CF lid seems to have a fair bit of distortion, looks like your air filter may not be sealing well. 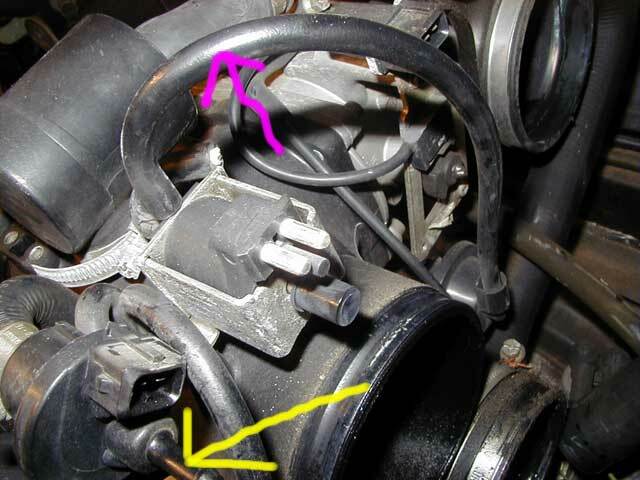 In the image below, there is a hose touched by point of the purple arrow ... it's the hose that comes off a vertical barb on the back of the little solenoid valve. Where does the other end of that hose connect to? 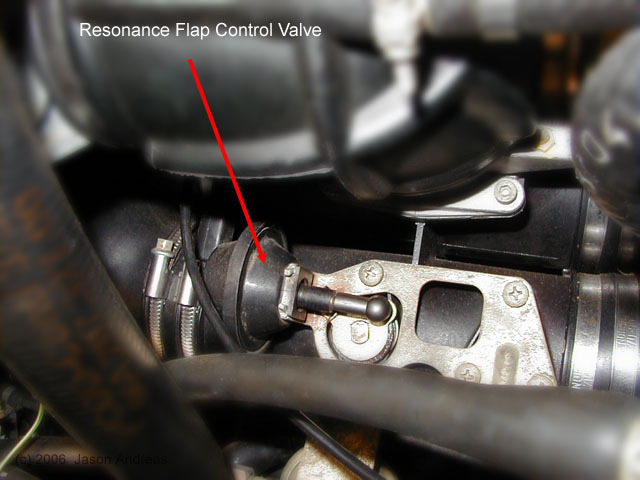 That is the vacuum line for the resonance flap control valve. but until a person has dropped their engine and seen for themselves they assume the cover fits properly. Success! Couldn't have done it without the photos above, and especially the shot from sperki11, whose engine has exactly the same hose layout as mine. 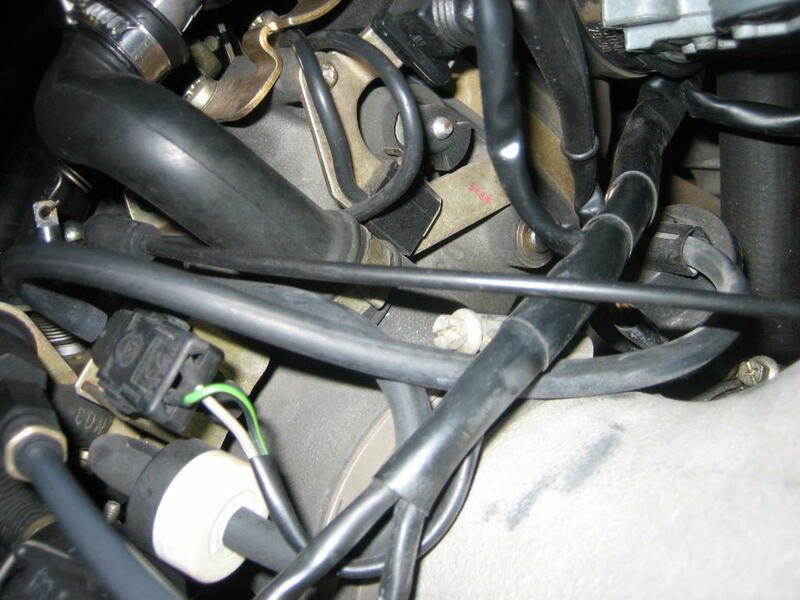 Tracking it down was really confusing, because the valve's horizontal hose connection looks just like an electrical connection unless you know exactly what you're looking at. I wonder how long that hose has been disconnected! Many thanks to sperki11 and Jason for the help ! 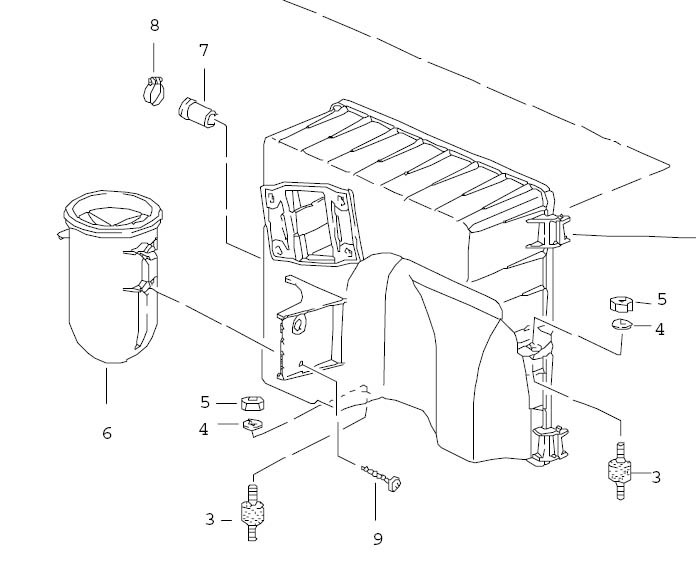 No actual picture but a parts diagram. 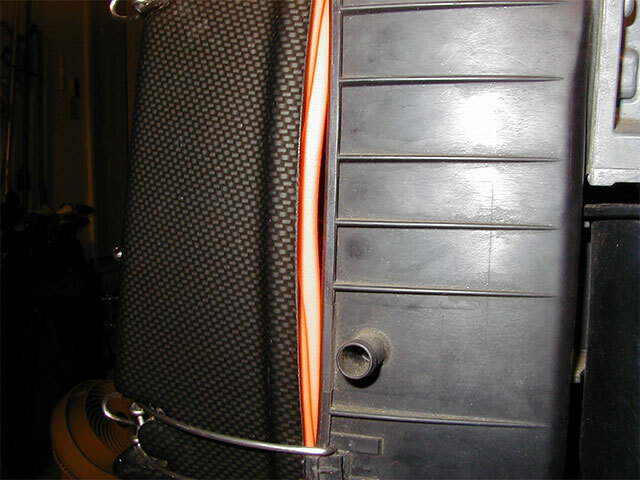 The vacuum cannister attaches on the air box to a "L" looking plastic bracket. DOH - I planned on installing my stock airbox tonight only to discover Im missing both clips on the rear part of the airbox. What was really fun was removing both of the old "Bonded Rubber Buffers" (#3 in the diagram above) since the PO hacksawed them off at the rubber bushing instead of just unscrewing them. Reverting back to the stock airbox is getting to be a pain.